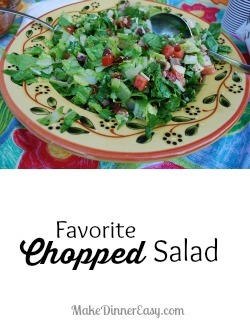 This is my all time favorite chopped salad recipe. I've made this for countless parties and it is always well received. It does take some time to prepare but I often prep the ingredients the night before or earlier in the day. When I'm making a big batch of this for a party, I place the lettuce in a jumbo (2.5 gallon) zip style bag. Then I keep the other salad ingredients in separate zip style bags. 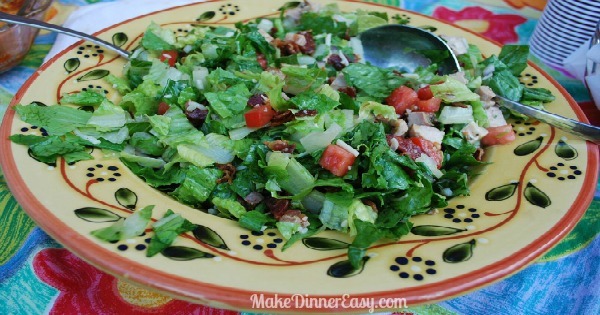 Just before serving, add all the salad ingredients to the lettuce and add the desired amount of salad dressing. Zip the bag shut and shake. This is a no-mess method for tossing a salad and is a real time saver before a party. Combine salad dressing ingredients. This can be made in advance. I store mine in glass jar that I can shake to mix. When ready to serve, add desired amount of dressing to salad and toss. Note: You will have extra salad dressing left over. It’s delicious and keeps well. 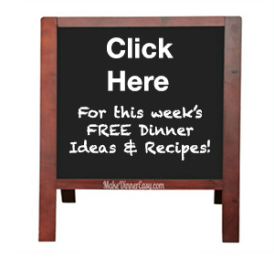 Use on side salads during the week.